View of a rocky arch formation from Th Great Ocean Road, Victoria. 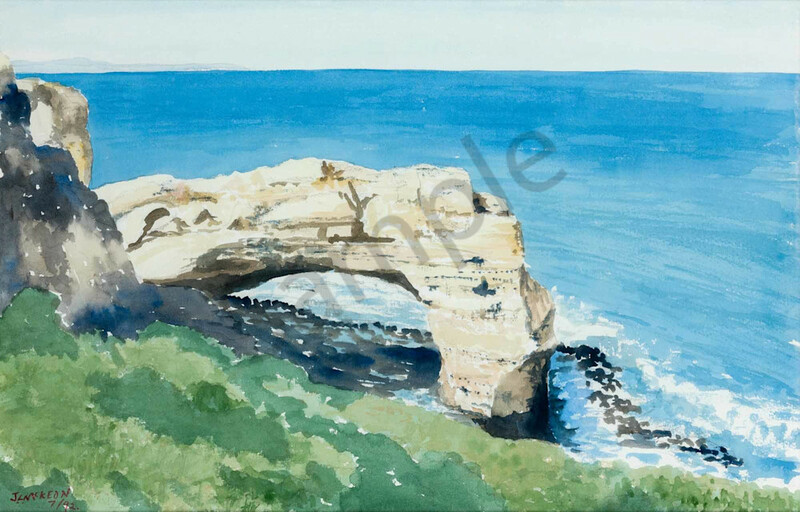 I painted this scene because of the interesting architectural shape of the rocks forming this ancient arch formation. The rock’s pale yellow, ochre colours contrast with the pale, blue colours of the sea and the cool blue-green colours in the sky.